Love the mix of Glam with Military! I adore the military jacket! I have the same camo jacket from Zara, been wearing it loads! I really need that coat! I wish they would get more in stock! I have been oogling over that ZARA jacket and I think I just need to officially take the plunge! I love military looks - heading over to check out your post now! YAY! i have the zara camo jacket and can NOT wait to wear it but it has been SO hot here that i can't even imagine wearing layers! and it is supposed to be 97 here this weekend!!! weirdest southern ca weather ever. What a fun look. Love the feminine dress and how the jacket gives it an edgy feel...NICE! i need the coat and the tulle dress!! love it. i have a new post up about a shoot i styled, would love to know what you think! Looks amazing. I love the red! Great job! 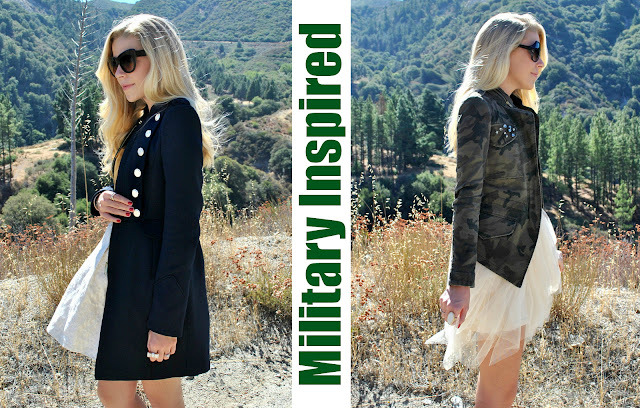 I love how you pair unexpected things together - like military jacket and a big ultra-feminine skirt! i love the army jacket!! i must have it! Obsessed. can't wait to see the whole thing. Great post on Lauren's website. You know how to break it down and make these trends easy to follow for everyone. I love that first look because it's the right mix of cutesy & girly vs. tough. So SO cute! What kind of camera do you use?? You look amazing in both jackets! Loving the military styles! So happy that you get to write for Laurenconrad.com! I love this damn cool combination! I love the structured military look contrasted with the feminine tule of the dress. That jacket is amazing! I need to go get one! OMG, girl, LOVE that coat with the gold buttons! GORGE! You nailed the look, as always. Seeing military everywhere! Love the long coat! Thanks for the comment on my blog! THe look with the camp jacket is so cool! Hi love. Thanks for reaching out. Yes, I did design the site myself. I used the blogger templates available with a few tweaks. Good luck with your site! I'm in LA so I never thought the hunting uniform would be popular. You look really cute! WOW, the dark coat looks amazing! I stopped by your Lauren Conrad post, amazing styling dear. I love how you find ways to incorporate these different trends without compromising your on personal aesthetic. 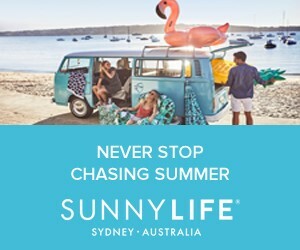 Keep up the great work with the blog!! I adore military style. You did a great job with not overdoing the theme in these outfits. Loving the army jacket with the fluffy skirt! It's stunning! I love how you styled that girly tulle skirt with the camo print jacket! It looks SO GOOD! Thanks so much for the follow!!! I looooove the long jacket with the buttons. So cute to wear with a dress! Looking forward to following each other and seeing all your great posts!!! I am dying to get that jacket!!! Shopping freeze may put a damper on my plans. Dang! It looks perfect with that skirt!! I love both looks! Even though I'm not a huge fan of military style , I was quite taken by these looks! 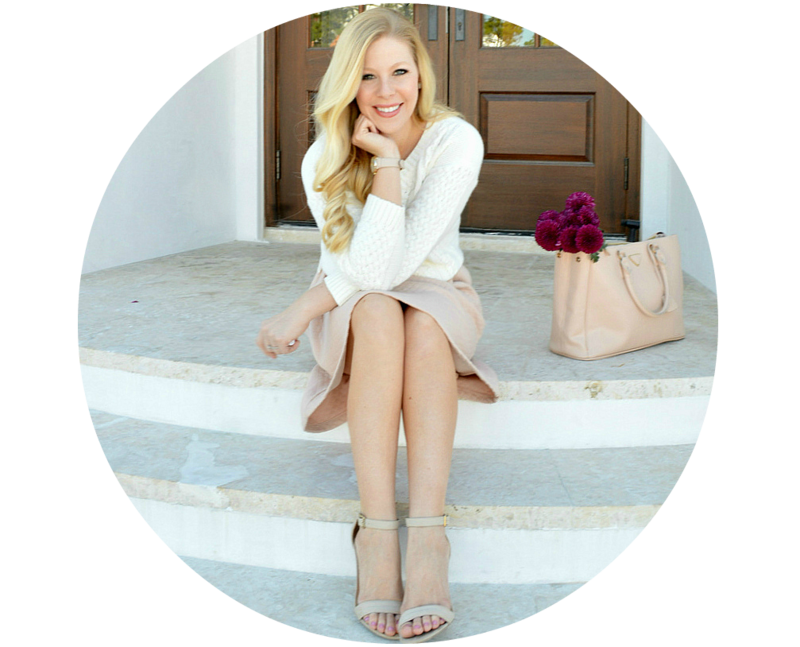 I love this trend and Really loved your guest post! I agree that mixing military inspired pieces with girlier, lighter ones is a perfect balance. i LOVE the collision of girly and military! i'm completely stealing this outfit. Pretty much obsessed with these outfits. Wow this styles looks amazing. Love the coat from Zara. Love the dress with the military jacket!! Where is it from?? ?